Thank you to Sue Katz Miller for this roundup of books about kids who celebrate both Christmas and Hanukkah. Interfaith Family supports “interfaith families exploring Jewish life.” Their website offers many resources, including this video with stories of the impact of their work. Pleased that today’s Boston Globe includes an interview with me. Monica and I have come a long way from our Puzzle Place trainings many years ago, and we both remain committed to welcoming and accepting people of all backgrounds. Thanks to Monica, who is a truly awesome person, for her kind words in this posting on her blog, Monica’s Tangled Web. 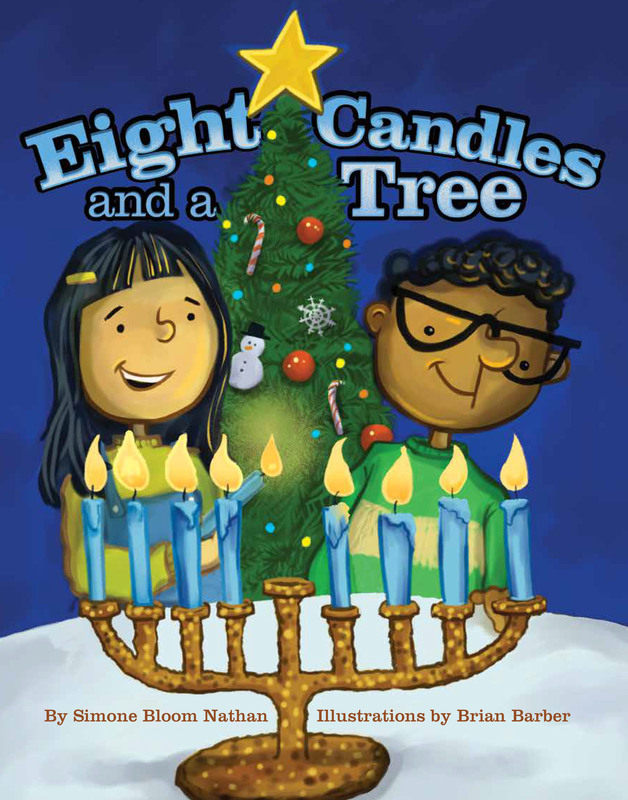 So pleased that today’s Boston Herald has an article about Eight Candles and a Tree. I can’t wait to have the books in hand in June!